Saturday will bring a nice break to the heat, so it's a great day to be outside! Our vendors can't wait to see you bright and early tomorrow morning. 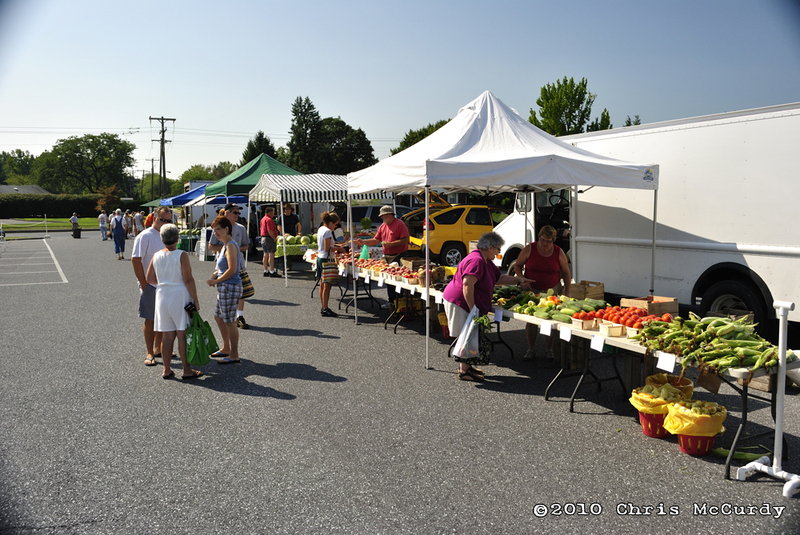 Did you know that getting to the Market early has some big advantages? For one, some items in smaller quantities get sold out as early as 9AM. Last week Maywood Farms sold out of mint by 8:05AM! Samantha's Heirlooms and Exotics will have red, white, and blue potatoes this week, and their signature lemon cucumbers, but only a couple boxes.. Also popular are free-range eggs from Country Sunrise Creamery, and they go fast too. In this case, the early bird gets the eggs. Dr. Micah Dunn will again be joining us at the Market this week (probably earlier than 10AM). You can meet him at the Maywood Farms tent, which is in the middle of the Market. He will be there to introduce himself in preparation for his weekly appearances at the Palmyra Real Food Emporium starting on July 6th, 2012. His phone number is (717) 580-5544 and his website is www.mypowerson.com.